The use of computers in archaeology is entering a new phase of unparalleled development, moving on from a specialist methodology on the margins to a powerful practical and analytical tool used across all areas of archaeological interest. 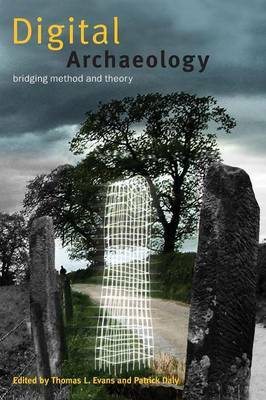 With a thorough examination of the ways in which both everyday and cutting-edge technologies can be used to inform and enhance traditional methods, this book brings together ideology from the academic world and pragmatic, concrete examples to show how fieldwork, theory and technology fit together today as never before. Covering a history of the rise of computer use in archaeology as well as a thorough assessment of a number of high profile examples such as the Ferrybridge Chariot, this book shows how new technologies have been implemented into both theory and method as an integral part of the archaeological process. With contributions from renowned experts, experienced professionals and emerging names in the field, this unique, forward-thinking book brings together previously disparate aspects of archaeology in a new holistic approach to the study of the past. A companion website is also available to allow further study of the images included.